Great picks! I covet that Snoozerloser scarf :). 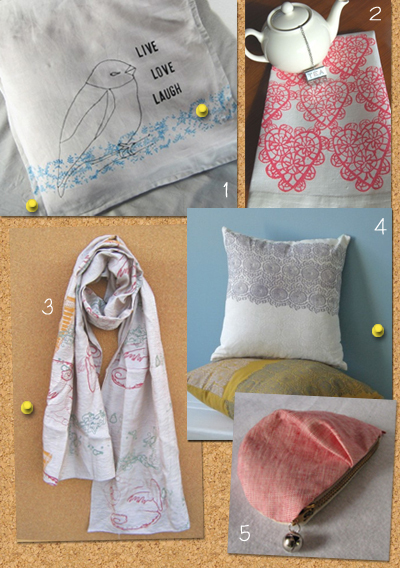 I love the linen tea towel! Love that zipper purse! What a cute shop! LOVE these! They are all so beautiful.....ooh...that scarf! I love it!